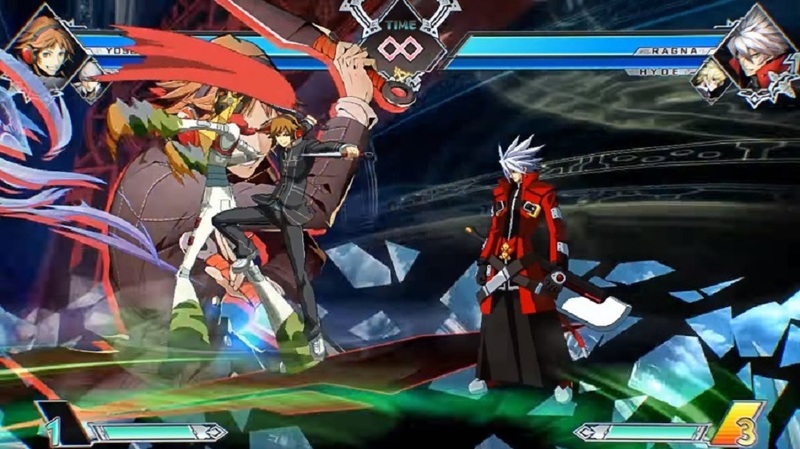 Over the weekend, players got a chance to get their mitts on Arc System Works' upcoming crossover fighter BlazBlue: Cross Tag Battle during a open beta. Of course, wily hackers have managed to mine the beta for info, seemingly unveiling the game's DLC roster. Cutting Room Floor admin Ehm tweeted out their findings once they got into the game's code, discovering a series of initials that correspond to character brands and names. Simple guesswork is all that's then required to ascertain the characters supposedly headed toward the anime fighter, post-release. From Ehm's findings it looks like BlazBlue's Izayoi, Mai Natsume and Nine the Phantom, Persona 4 Arena's Akihiko, Labrys and Mitsuru, and Under Night In-Birth's Merkava, Mika and Yuzuriha will all be asking for your pennies in the month's after Cross Tag Battle hits the shelves. Of course, none of this is official, but it looks pretty snug, so there's little reason to doubt it. The BlazBlue: Cross Tag Battle beta closes today, although there will be an offline demo made available to download on PS4. This demo will be available to all, although only digital pre-order customers will have access to the same 20 characters from the beta.